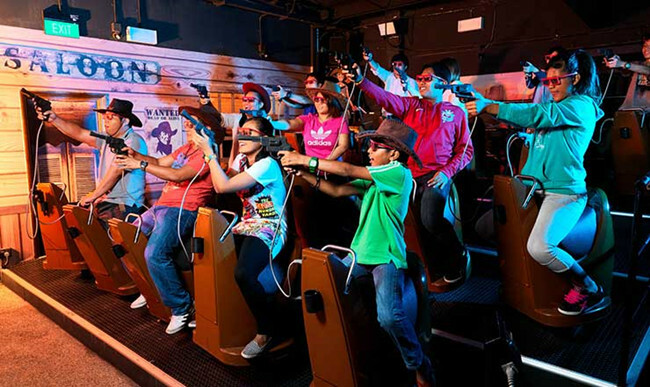 One of the most happening family theme parks of Southeast Asia, 4D Adventureland is a high tech entertainment zone suitable for people of all ages. 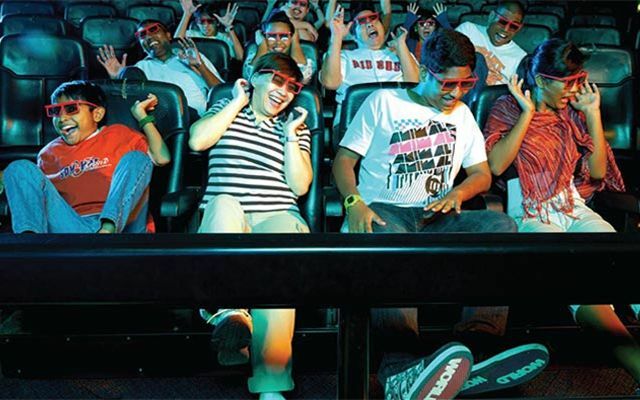 Located at 51B Imbiah Road on the magnificent Sentosa Island in Singapore, this adventure theme park features some of the most stunning screening experiences. 4D Adventureland is offering services every day of the week from 10’o clock in the morning till 9 in the evening. Journey 2: The Mysterious Island is a blockbuster science fiction comedy starring ‘The Rock and Michael Caine”. The movie screening is sure to be an audio-visual delight for both kids and their parents. This 20-minute show is sure to keep all your senses at their edges. Screening starts from 10 am and continue till 7:55 pm. There one screening every hour from 10 am till 7 pm. The last evening screenings are at 7:55pm, 8:20 pm and 8:40 pm. Extreme Log Ride: This is one of the most popular of all the screenings at 4D Adventureland so make sure you never miss this one. In this one of a kind experience, you will be gliding through the fierce streams of Himalazon following a Supertree log to a perilous ride in the wilderness. The 10 minutes high-speed roller coaster ride is an experience to look out for. The screening starts from 10 am and continued every 25 minutes till 7:55 pm. There are only 2 screenings between 8pm till 9pm – one from 8:20pm and the other from 8:45 pm. Desperadoes: Set in the Wild West this action adventure would allow the viewers to sharpen their shooting skills with the help of a motion sensor gun. The show starts from 10 am and continues every 10 minutes till 8:45 pm. Je n'avais jamais rien vécu de tel. Je me suis beaucoup amusée! the movies become so great when view in 3D! the price is much lower when I purchase here. it feels a bit strange when wearing the glasses but still fine, amazing experience! It was worrying when I didn't now how to use the tickets at first, but WGW service was great and explained to me slowly when I called them. Thanks! This is one of my fave ride! Thanks weekendgowhere! Please exchange for physical tickets at the ticketing counter or self-ticketing kiosks available at the entrance. The operating hours for 4D Adventure Land are at 10 AM to 9 PM daily. Last admission is at 8.15 PM.